Ronav Chand’s dream of be­coming a doctor took a step closer to reality when the six-year-old was given a new lease of life. Ronav, of Vuci, Nausori, under­went heart surgery at the Colonial War Memorial Hospital conducted by specialist doctors from India here through the Sai Prema Foun­dation. 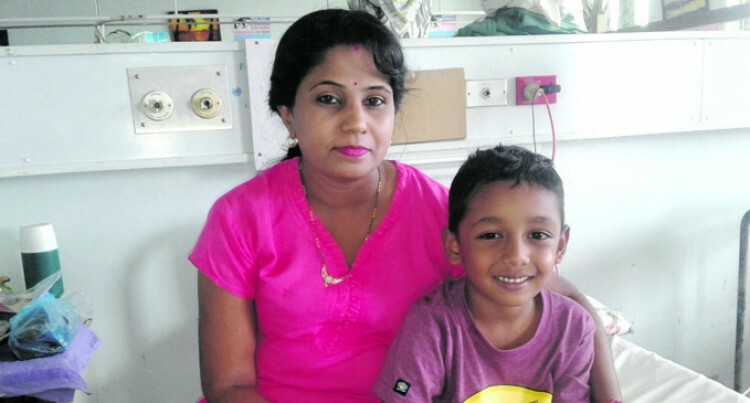 His mother, Angeline Singh, who was with her son at the CWM Hos­pital operating theatre, was thank­ful that their six-month wait was over. The single mother said every time her child was sick and taken to hospital he was not diagnosed with anything serious. “After making several trips to hospital in our area we came to the CWM Hospital in November last year and doctors found that my child had a hole in his heart,” she said. Ms Singh said when she received the call from the hospital that the special team from India was in the country it brought happiness to their family. “I am very grateful to the Sai Pre­ma Foundation who organised the team’s visit for people who cannot afford to travel to other countries for surgery,” she said. Her advice to members of the pub­lic is to take their children to the CWM Hospital for screening should they suspect their child suffers from a congenital heart disease. Ronav said that he was happy to finally undergo surgery to fix the congenital heart disease he suf­fered from. “From 4am I did not eat or drink anything I am very hungry, but af­ter my operation I will eat a lot,” he said.